These are bandwidth hungry applications. You can’t use Netflix for iPhone on a regular basis and expect to stay within the new monthly caps. Apple is kicking off their annual developers conference, aka WWDC. 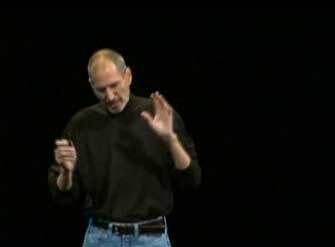 As is usually the case Steve Jobs is presenting. I’m letting Twitter keep me updated. Before getting to the new iPhone (very impressive hardware improvements) Jobs talked about some new apps, specifically Farmville (ugh) and Netflix. This is exactly what I was talking about in my earlier post. These are bandwidth hungry applications. You can’t use Netflix for iPhone on a regular basis and expect to stay within the new monthly caps. NY Times: Download an hour-long TV show to a smartphone or tablet and you’ve used 550 megabytes, or well over a quarter of your monthly allotment. Streaming a two-hour movie from Netflix consumes 300 megabytes. By the way, I have no idea why an hour long TV show uses nearly twice as much data as a two hour movie. The numbers aren’t as important as the general concept: Bandwidth drives innovation. Or might this be the catalyst for a better compression algorithm?